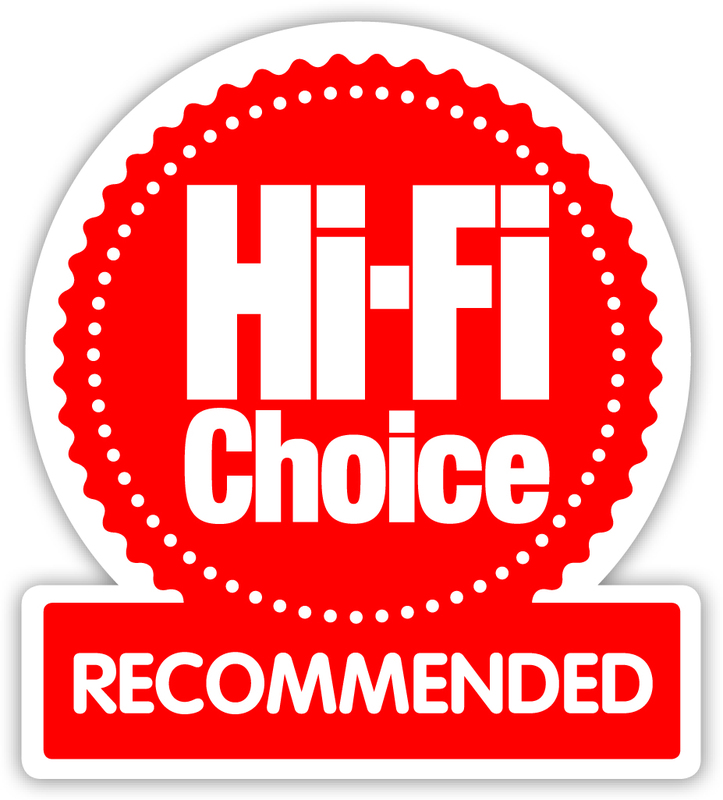 "Discussing the midrange and treble as a separate characteristics is pointless because the STP-SE-2 delivers the entire audible frequency range as one completely coherent, very high resolution, and unaltered continuum of sound." "Give this pre-power combo an hour to warm up and you’ll soon see that it’s a crisp, detailed and neutral sounding package with plenty of wallop." "It all seemed to be about removing minor barriers in whose absence recorded urgency, intensity and directness communicated themselves more strongly. I'd call this effect an energizer, rejuvenator and revealer of deeper space…. this is a machine of quiet but true reference calibre!" Blue Moon Award. 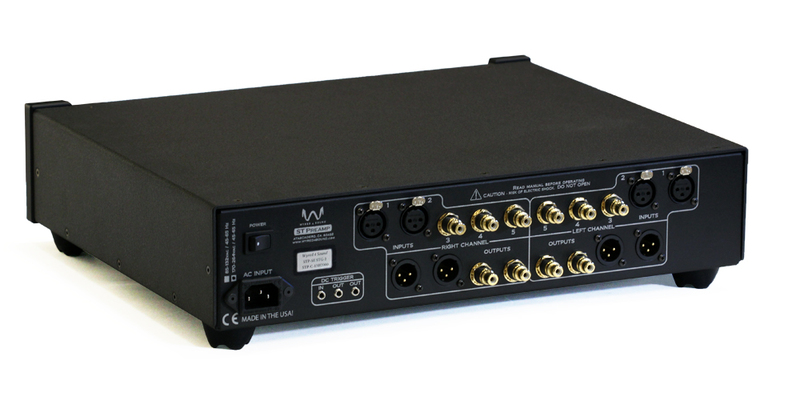 Looking for an elite pre-amp designed for the most critical listener? Look no further than our STP-SE. The ‘SE’ stands for special edition and as our customers and reviewers will tell you, this piece of equipment is special, indeed. The STP-SE’s stellar performance and upgrades begin with its wires: Kimber Kable’s patented TCSS wiring, a highly passive multi-gauge, continuous strand pure copper that allows for greater dielectric movement than most other wires in its class. We then add our trademark Low ESR "Super Cap,” an extremely low noise floor (<6µV Passive, <18µV active) and a fully balanced circuit and the results are spectacular 3-D imaging and instrument placement. A 25A Schottky bridge rectifier connected through 164,560+µF of capacitance via our proprietary TRR (Triple-Ripple-Reduction) power supply circuit ensures exceptionally clean power delivery to optimize audio quality. Standard operation in a passive state and gain to boost the signal only when needed brings you the utmost fidelity. The STP-SE’s resistor ladder volume control, built with our discrete proprietary design, guarantees the STP-SE’s volume control is clean, accurate, and transparent. Our available Stage 1 STP-SE upgrade features 24 Vishay Z-Foil resistors, four premium inductors, four Schottkey diodes. These enhancements which focus on the power supply and input/output buffer circuits present greater fidelity and definition. The Stage 2 upgrade, includes all of the above plus our discrete proprietary regulators, an upgraded IEC inlet, 48 Vishay Z-Foil resistors located in the resistor ladder volume control, 16 upgraded high frequency filter capacitors, an Premium upgraded fuse, and a green OLED display. Direct attention to the signal path throughout the volume control and filtering circuit yields major enhancements to an already exceptional product. Note: Due to the expensive specialty parts as well as the extensive labor involved with the upgrade, Stage 1 and Stage 2 STP-SE orders are non-refundable. It is easy for a reviewer to burn a lot of words describing something. However, there just isn’t much that can be said about this unit’s very minimal and elusive sonic character. 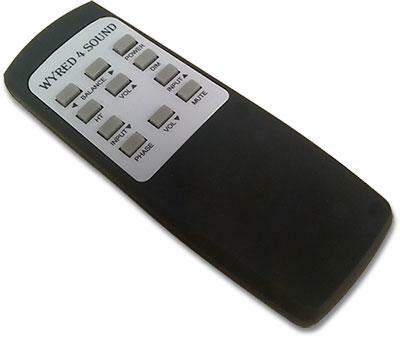 The Wyred 4 Sound STP-SE-2 preamp is unremarkable, and that is precisely why it is so special. It easily beats much more expensive competition with its benchmark, state of the art resolution and lack of character. Give this pre-power combo an hour to warm up and you’ll soon see that it’s a crisp, detailed and neutral sounding package with plenty of wallop. I suppose what struck me as especially ‘special’ about the STP-SE is that it seemed utterly transparent, while at the same time giving you a spacious, slightly warm and cavernous perspective on the musical proceedings at hand. As a matter of fact, it seemed as though the STP-SE was sort of a hybrid of another sort; kind of like a cross between a great tubed pre and well, a great passive. All the details were there—but there was none of the passive-like passivity; the dynamic lethargy or sterility. There was also that wonderful bass depth and cavernous, airy soundstage with a mid row perspective and a touch o’ warmth—like a great tube pre. To say my experience with the STP SE was mind-blowing would be an understatement.... its virtually unspeakable in the audiophile world to say a tubeless preamplifier possesses all the smooth and inviting characteristics of the most modern and affordable valve units, while at the same time raising the standards of what’s expected from a sub-$2k preamplifier to new stratospheric heights. But, that is exactly what I am saying. The absolutely transparent presentation was not sterile or tame as some passives are afflicted, Instead, the STP-SE allowed the color of the performance to be heard vividly without adding any tone of its own. I am enjoying the new STP-SE very much. It beats the Leema Libra (£5,995 or ~$8,000), Bryston BP26 and Chord Electronics CPA5000 ($20,000) that I listened to – more transparent and does not compress dynamics.... The STP looks and feels great to me. My STP-SE arrived on Monday and I installed it yesterday. The first music I heard through it was classical music on FM HD Radio from our local PBS station at The Ohio State University (WOSU). I could clearly hear an improvement in the wholeness and spaciousness of the music and I was quite surprised. Randy please extend my thanks to Mr. Sarmento. It’s unfortunate that this level of customer service is in the minority these days. You have been a pleasure to deal with and have responded to my questions promptly and professionally. You have a customer for life! You guys really did build a world class product, I have unit like the Bat Rex and I'll go in record and state that is is far better to my ears. 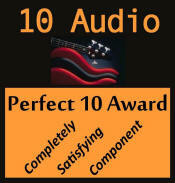 The preamplifier is terrific and I am so glad that my dealer recommended it to me. You and your team are amazing still working during X'mas holiday!! Awesome!!! I am glad I purchased this unit. The interface and how it works was super well thought out.